This is a skinny dessert recipe. As in: eating the whole batch won’t make you fat. And it’s here. On Something Swanky. Where weight gain is a happy thought. You don’t have to eat these frozen– they’re great fresh. But I thought the marshmallow and cool whip topping was even better and creamier frozen! 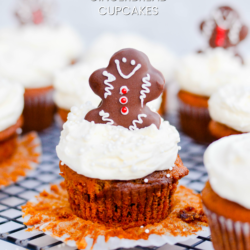 Whisk together the the cupcake ingredients until smooth. 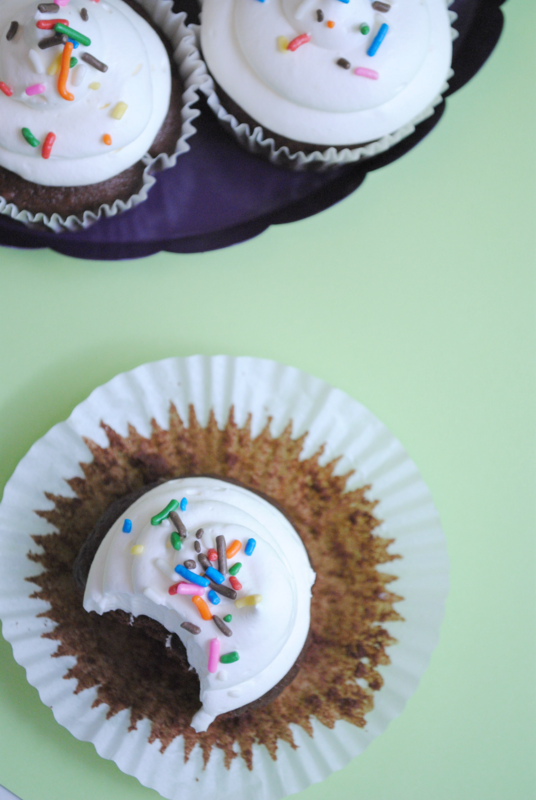 Distribute batter evenly into 2 standard size cupcake tins (24 cupcakes). Using a hand mixer, blend the cool whip and the marshmallow fluff until smooth. Eat right away or freeze overnight! Looks absolutely delicious! I could so go some right now. These sound so yummy. 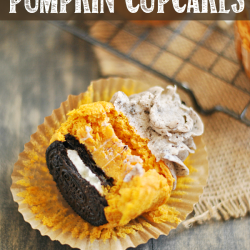 I have to add these to my cupcake list. I am in need of more skinny treats! Thank goodness for yogurt and sugar free items to bake with when we have swim suits to get ready for:-) Loving the idea of eating it frozen!!! These look tempting! But that’s ok cuz their skinny! Which always means you can eat more. I am going to have to try these. If I can satisfy my sweet tooth without gaining weight, I will be a happy camper. 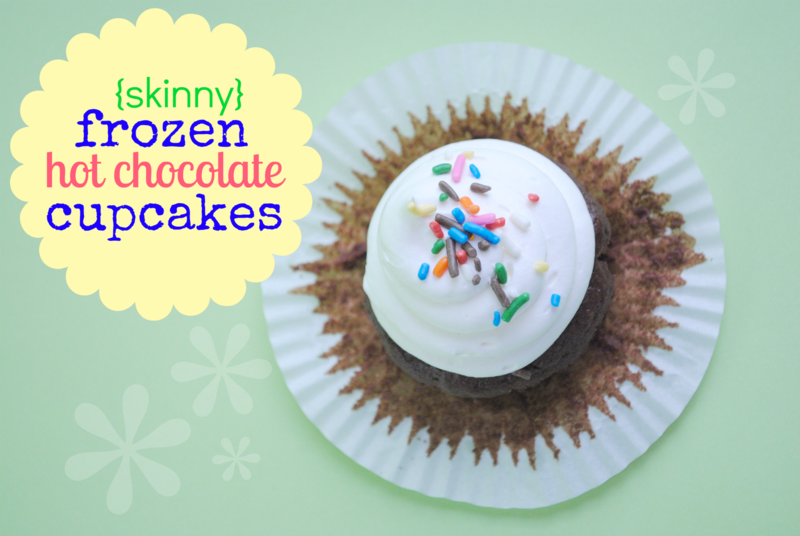 The frozen cupcake idea is really creative and I bet it makes them last a little longer because you can’t just throw the whole thing in your mouth at once. Or at least I can’t…cold headache! YUM! 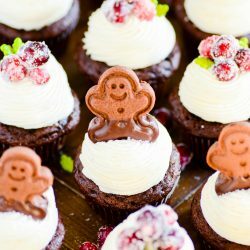 Yay, I”m a new blog follower and am excited to check out all of your fun food recipes and ideas. I would love if you followed me at http://www.iheartpears.blogspot.com Thanks!